One Day - Khao Nha Yak and Little Savanna. This trip is concern the land which is the other people can not touched. Jc.Tour set up as the special for the people who really love to discover the new thing. Khao Nha Yak Beach is hidden in the between the high cliff and covered the gate way by the large little Savana Grass. No one know the exactly gateway to this land. Even someone had heard about this magic beach before, but the way to reach it is not easy by self. However, Jc.Tour had set up the day tour package - taking the real adventure lovers to touch this secret beach...Khao Nha Yak..Virgin Beach and Nature. The Savanna of Thailand is here. It is about 700 Meters. The walking pass the nature grass field make you refresh and feel so exiting with the wide and giant of nature. However, If you don't like to walk, we used 4 Wheel Drive Safari Car instead...We have to go through this grass field to meet the Hidden Beach. 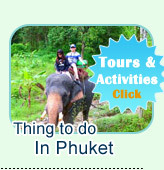 In this package: To go to the hidden beach - Khao Nha Yak Beach, you have to journey pass the mangrove jungle by canoeing. We must go through into the mangrove and pass the nice nature of safari. And come out the other side of the jungle before continue by the big boat. 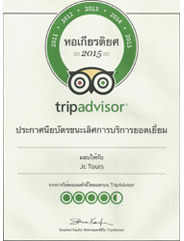 Jc.Tour is the Top Responsible and Great Service in TripAdvisor Rank. 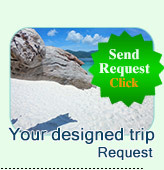 Jc.Tour has been registering for Accident Insurance all around the world (Inbound and Outbound) This make sure that all the customer of jctour is covered by Insurance in every where of the world.